The rusty-patched bumble bee was scheduled to be added to the endangered species list on Friday but The U.S. Fish and Wildlife Service has announced that process will need to be reviewed due to an executive order from the president. Lobbyists who oppose the Endangered Species Act have celebrated the decision. The population of the rusty-patched bumble bee has plunged by 90 percent since the early 1990's following a trend that has seen bee populations plummeting in general. On January 11th, a new rule was adopted to add the bee to the ESA and a mandatory 30-day waiting period went into effect. But on January 20th, Donald Trump became president and signed a sweeping executive order that froze all pending regulations for 60 days to review “questions of fact, law and policy they raise.” The decision to delay the bee’s listing as endangered is a direct consequence of that order. 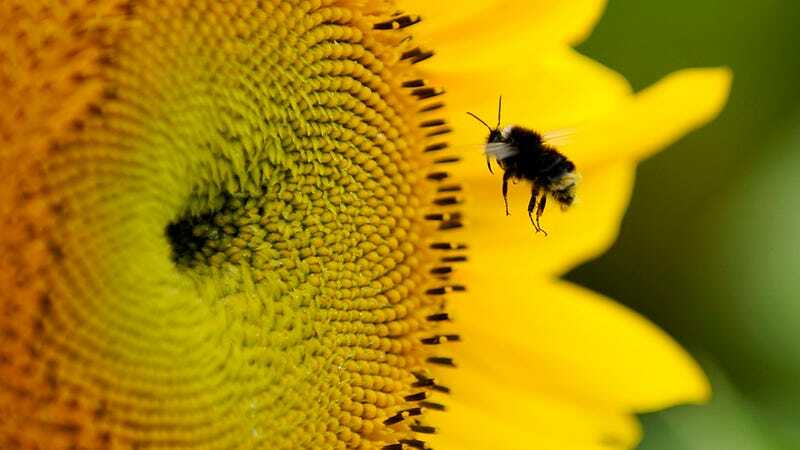 A ruling on the noble bee’s status will have to wait until March 21st, setting environmentalists on edge. With the Trump administration’s mode of operation generally leaning towards eliminating regulations, environmental advocates fear the delay will be permanent. The ESA requires that the government “protect and recover imperiled species and the ecosystems upon which they depend.” Since the act was passed in 1973, there have been 28 species delisted due to recovery, including the bald eagle. Aside from the rusty-patched bumble bee, no other pending endangered species listings are affected by Trump’s order. Time will tell if this important pollinator is in the crosshairs of the administration.